the LA Girl HD Pro Conceal Green CorrectorÃ‚Â is perfect to Conceal, correct and contour like a pro with this beauty addicts favourites concealer. Green concealer is perfectly suited to conceal pimples, red spots, acne and little scars. The green concealer neutralises these. Only use small amounts of this concealer to avoid a green glow on your skin. The concealer gives a full coverage andÃ‚Â camouflages puffiness, redness and imperfections on the skin and has a natural looking coverage with a smooth complexion. The concealer has a light and creamy formula that lasts all day without pulling in lines. 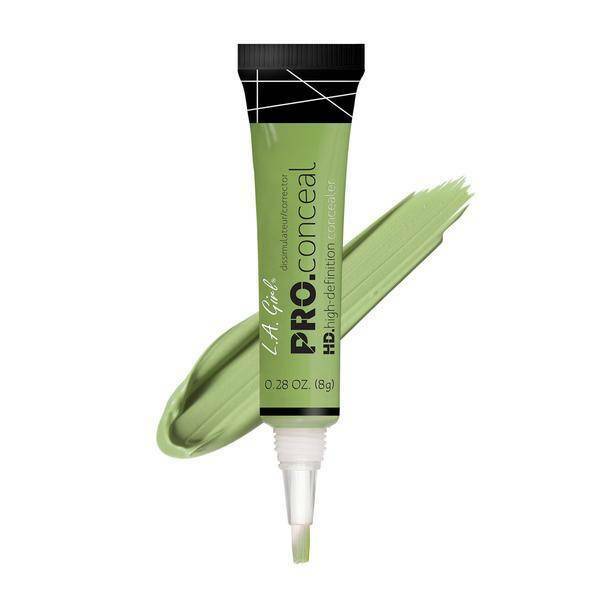 Buy the LA Girl HD Pro Conceal Green CorrectorÃ‚Â online at boozyshop.